Associate Professor of Journalism John M. Harris' book, "Redemption in '64: The Champion Cleveland Browns" was published Oct. 15, 2018, by The Kent State University Press/Black Squirrel Books. The book follows the Browns' road to the 1964 National Football League championship by focusing on four people: owner Art Modell, head coach Blanton Collier, running back Jim Brown and quarterback Frank Ryan. That year's championship game is still considered one of the greatest upsets in the history of professional football. 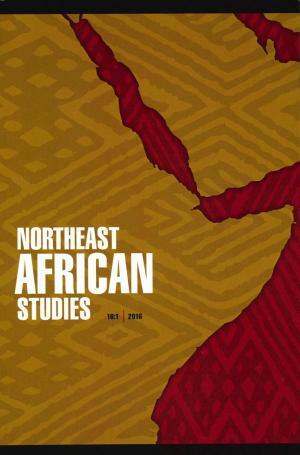 Jonathan Miran, professor of Liberal Studies at WWU, was appointed to serve as General Editor of the journal "Northeast African Studies" (see http://msupress.org/journals/neas/) for the next five years. WWU Professor of Psychology Jeff Grimm's research lab team recently published an article in the journal Scientific Reports. The study identified the expression level of DARPP32, a protein that mediates signalling in neurons that appears to be related to neuroplasticity, in 9 brain regions of rats that were responding for a cue previously associated with sugar availability. Some rats had also been exposed to environmental enrichment (housing with toys and friends), an experience the team had previously documented to reduce motivation to seek and consume sugar. WWU Associuate Professor of History Jennifer Seltz recently had an article published in the Journal of Women's History:(co-authored with Flannery Burke, St. Louis University) titled "Mothers' Nature: Feminisms, Environmentalisms, and Childbirth in the 1970s," JWH 30/2 (Summer 2018). 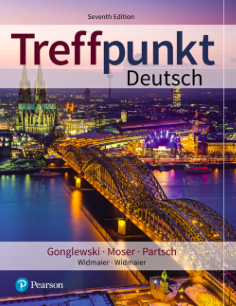 Cornelius Partsch, Professor of German in the Department of Modern & Classical Languages, published the 7th edition of Treffpunkt Deutsch, an elementary-level German textbook (Pearson, 2019; co-authors Margaret Gonglewski and Beverly Moser). Derek Moscato, an assistant professor of journalism and public relations at Western Washington University, has published a new article in the Journal of Public Interest Communication. The study, “Clearcut Persuasion? Audience Cognition of Mediated Environmental Advertising through the Lens of the Elaboration Likelihood Model,” analyzed the outdoor billboard campaign by Oregon Wild to limit the practice of clearcut logging on Oregon’s publicly-owned lands. The campaign’s contentious advertisements, which were banned from Portland International Airport, garnered significant media coverage. Conference Presentation: November 16-19, 2017 - I delivered two presentations at the National Communication Association (NCA), in Dallas Texas, I delivered the first presentation about how my interest in homelessness came about and the many ways that my students are engaged in service-learning projects related to our community experiencing homelessness. I discussed each project that I created from 2015 to current. My presentation was titled "Homelessness the Invisible Made Visible." Kimberly Lynn (Associate Professor and Department Chair, Liberal Studies) had two articles published in one edited collection: “Judges and Shepherds: Inquisitions,” and, with Gretchen Starr-LeBeau, “Tribunals and Jurisdictions: Inquisitions,” in Judging Faith, Punishing Sin: Inquisitions and Consistories in the Early Modern World, ed. Charles H. Parker and Gretchen Starr-LeBeau (Cambridge University Press, 2017), 52-65 and 116-27. May 1 marks the release of “Anti-Cancer Living,” ghost written by WWU Senior Instructor Stephen Howie for Dr. Lorenzo Cohen, director of Integrative Medicine at MD Anderson Cancer Center, and his wife, educator Allison Jefferies. Published by Viking, the book has been translated in 10 different languages with more than a dozen foreign contracts. Carolyn Nielsen, an associate professor in the Department of Journalism, has been awarded the University of Washington Department of Communications Faculty Award for Outstanding Dissertation of 2017. Her doctoral dissertation, "Moment or Movement: U.S. News Coverage of Racial Issues in a Digital Era," is the foundation for her forthcoming book under contract with the University of Missouri Press.